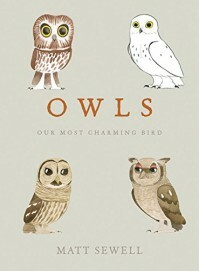 This is such a cute book with wonderful watercolor depictions of the Owls of the world. Separated out by the type of owls, the descriptions include scientific and funny facts. Although there are some tough words, this would still be good for an older child to read, especially given the artwork. For the birdwatchers of the world, there is a checklist of the owls for when you spot them in hikes! The matte finish of the cover and the watercolor art is a perfect blend, and a favorite for me when I read books. One of the first things any reader notices is the cover and any artwork.